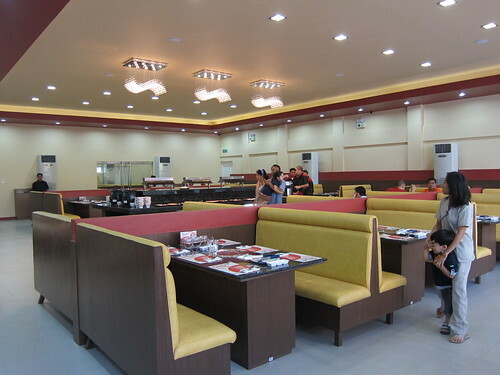 Proud to say that we are considered the FIRST customers of this newly opened restaurant along Timog Avenue, Miyagi. 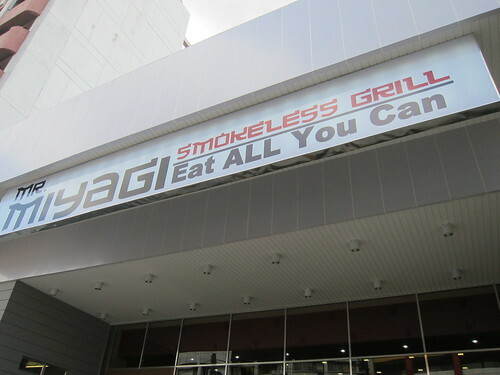 Owned by the group of Peggy de Villa which owns the Laughline chain, Miyagi is an EAT ALL YOU CAN restaurant specializing in smokeless grill and Japanese food. I happened to pass by the restaurant today on the way to the office and invited my dad and his friends to dine for lunch. 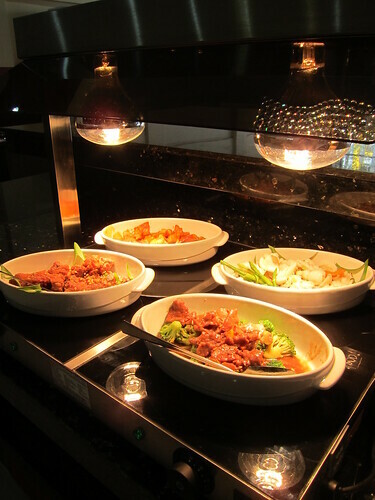 The price for the lunch buffet from Mondays to Fridays is PHP499.00 while dinners and weekend rates are at PHP599.00. 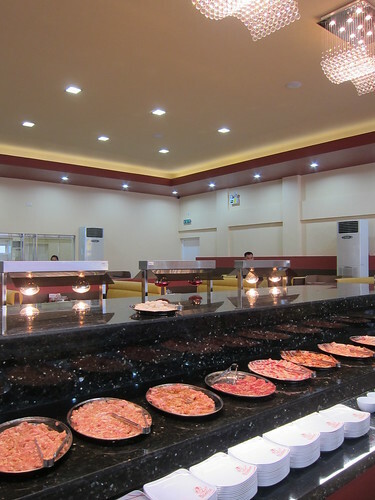 My initial perception of the restaurant is that it is HUGELY spacious. The design was simple and the whole place was filled with couches. Would have been nice to have separate tables and chairs available also especially for bigger groups of more than 6 people. 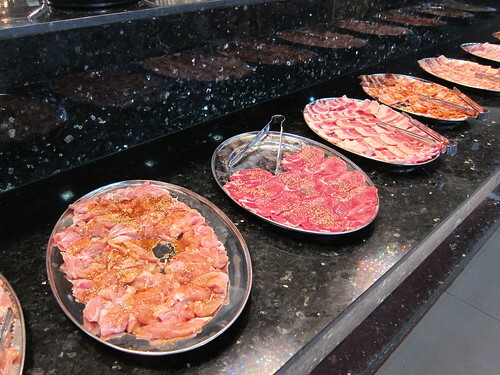 In the buffet spread is a wide array of uncooked meat marinated in special sauces. 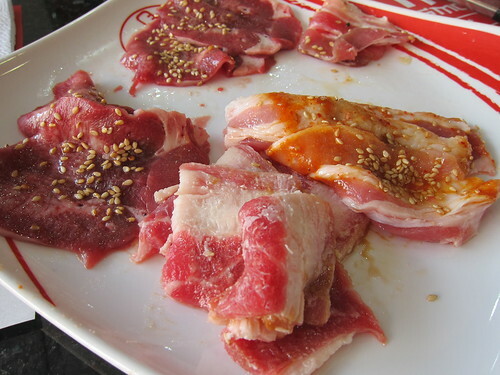 The idea is for you to grill these meats on your own smokeless grill. There’s also a choice of 3 sauces. 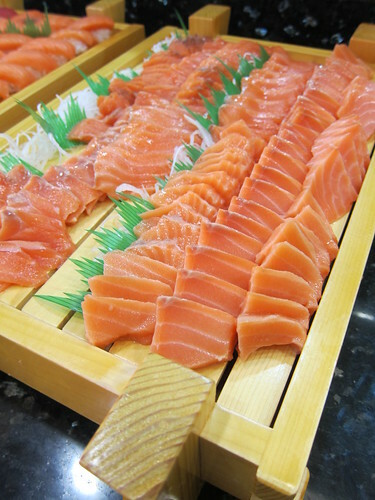 Aside from the meats, the buffet also includes sushis and sashimis for appetizers. I had the salmon and tamago sashimis. They were fresh. Other choices were California Maki, California crunch, tuna sashimi and others. 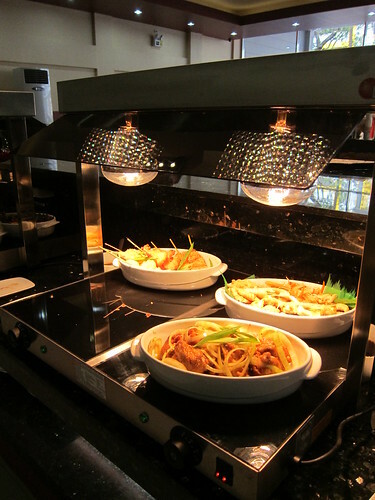 There’s also a good selection of cooked food – Chicken Teriyaki, Battered shrimps, Tonkatsu, stir fried beef with broccoli and others. Since they were still on soft opening, there were no labels on the food served yet. 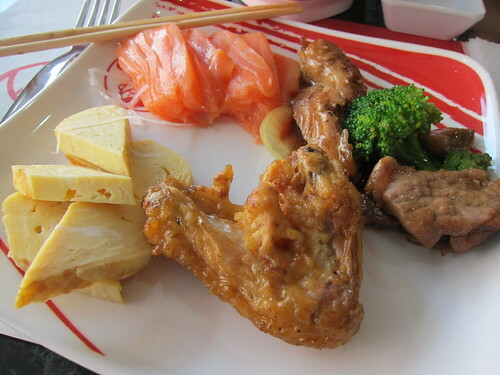 This was my first plate – combination of appetizer and cooked food. Overall, the food was good. The price was sulit. Try them out and give me your comments! ok ba sa miyagi? madami variety? Hi! It’s not bad. sulit for the price! Not enough variety? 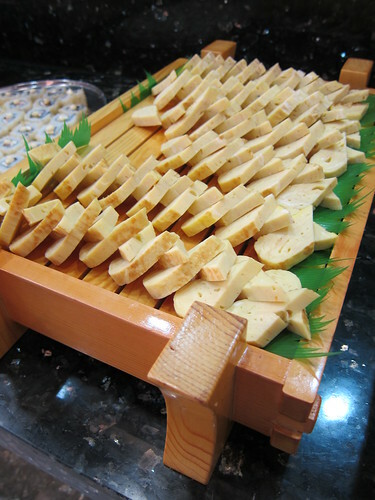 I liked matsuri more than miyagi. 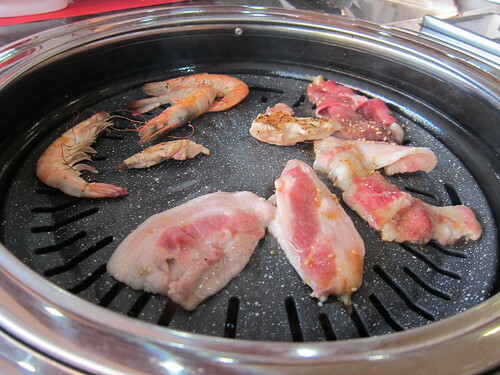 Haven’t gone back to yakimix for a long time. 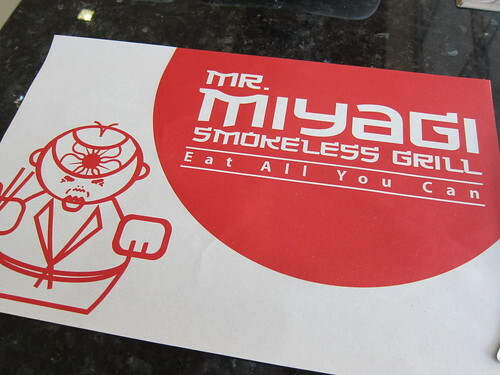 What’s the address of Mr. Miyagi? 😀 What’s beside it on Timog? or streets near it? Thanks!